Come by Pondview to celebrate Canada's 150 years! On Saturday, July 1st, enjoy some of Canada's award-winning wines from PondView, while you tour the Estate, production facility, and new barrel room. We are pleased to offer a sparkling wine reception and wine tasting with the tour for $10/person*. Tours will start at 12:30, 1:30, 2:30, and 3:30. Our famous Icewine Shooters and Wine Slushes are also available as a refreshing finish to any tasting. And our covered patio ensures you'll be able to enjoy your treats rain or shine! We will also have the Go-Go Food Co. food truck on-site serving a variety of Canadian meals for the afternoon, including Alberta beef tenderloin sliders and their special bacon-bacon poutine. Anyone who was here on June 24th would agree (along with the PondView staff) that Lorenzo's 'Cucina' meals are delicious! 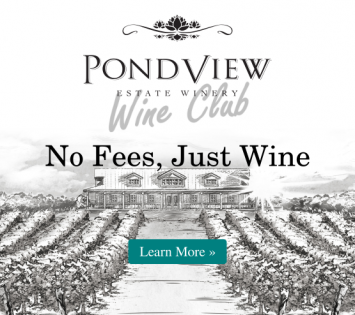 * Members of the PondView Wine Club and My Niagara Wine Club will receive the tour and tasting free of charge. If you're interesting in learning more about memberships, or would like to join, please visit the "Wine Club" link at the top of the page to see available options.